The Worst Thing About Saving the World is Coming in 2015! Posted on August 9, 2014 by Mr. H Posted in Interviews with Myself, Worst Thing	. 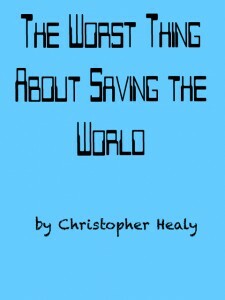 What is The Worst Thing About Saving the World? I ask myself that very question. Click the pic to read my reply.